A surprise announcement was made two weeks ago on The Pipes Magazine Radio Show. 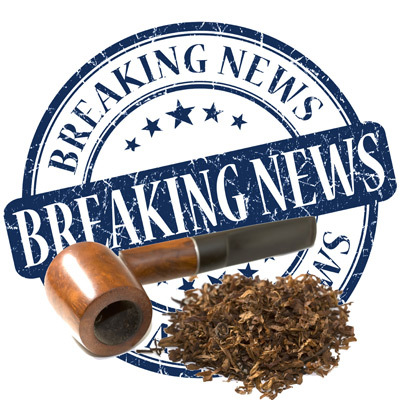 During the interview with Phil Morgan, General Manager of Missouri Meerschaum Co., (the makers of the original American Corn Cob Pipe), he told us they would be offering their own pipe tobaccos. 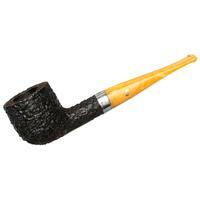 Mr. Morgan also revealed that the blender of their tobaccos was none other than Russ Ouellette. 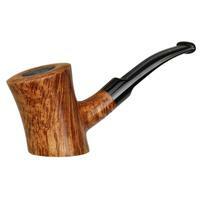 Mr. Ouellette is the blender of the Hearth & Home series and several other popular pipe tobaccos. He also writes a monthly column, Put That in Your Pipe, for PipesMagazine.com. The official announcement was to be made at the up-coming Chicago pipe show, but since the news came out during the radio show interview, Mr. Ouellette decided to provide us with more details. Not only has he blended four new Missouri Meerschaum tobaccos, but he will also be releasing a new tribute to Balkan Sobranie. At the Chicago show, May 2nd - 4th (and simultaneously on PipesAndCigars.com), the five new tobaccos will be introduced. "The first four are from a project that’s been about a year in the works, and they will be the first pipe tobaccos to bear the Missouri Meerschaum name. They will come in pouches and cover the major categories. Country Gentleman is a Virginia blend with some Perique and a hint of dark-fired Kentucky. American Patriot is a Latakia-based mixture with Virginias and Orientals with a light Bourbon top-note. Great Dane is an aromatic blend, with a good share of steamed black Cavendish, and a deep cherry flavor with a hint of vanilla. 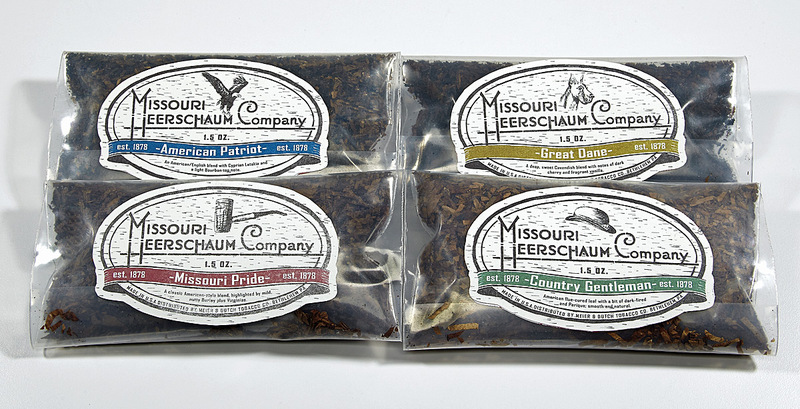 Finally, Missouri Pride is a mixture of ready-rubbed Burleys and Virginias with minimal flavor [added], for an honest American-style blend. Besides being the first tobaccos under the MM banner, what makes them distinctly different, is that, while they’ll smoke nicely in any pipe, they’ve been formulated to taste their best when smoked in a Missouri Meerschaum corn cob. These blends will be available to retailers in sleeves, through Meier & Dutch, our wholesale sister-company." 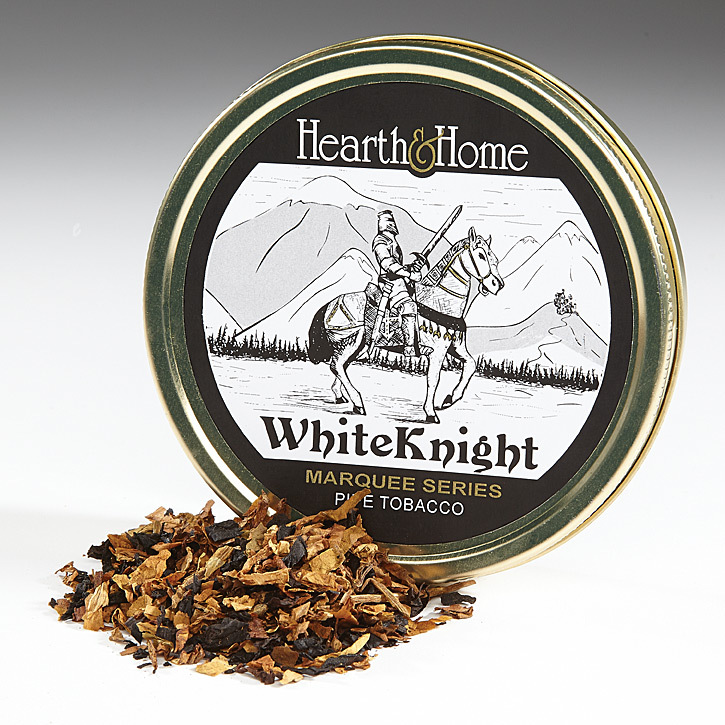 "Our newest offering in the Hearth & Home Marquee Series is called White Knight, a companion to our very popular Black House. This is a medium-bodied, complex Latakia blend, with excellent Orientals and very sweet Virginias. It’s my homage to Balkan Sobranie Original Smoking Mixture, as I remember it from the late seventies and early eighties. What makes this especially impactful, is that this will be the first of our tobaccos to be released in a vacuum-sealed, European-type tin. Eventually, all of the Marquee Series tobaccos will be moved over to this type of packaging." The Hearth & Home series is produced and packaged by the Sutliff Tobacco Company in Richmond, Virginia. Recalling a great story recently about how Lane STG found an old tinning machine to start producing in the old style tins, we asked if the Hearth & Home series was being moved to them. "H&H is still being done with Sutliff. We have some other third-party projects we’ll be doing, and a common request was that we use a different tin for their blends, and they preferred the European-style tins. I called Paul Creasy to ask about the possibility of using those tins, and within a couple of months, they had acquired the machinery, and were bringing in the tins. The relationship we have with Sutliff is pretty amazing, and it’s a testament to Paul’s leadership that he is willing to do so much to grow his business. Since we first started working with them, they brought in six presses to do our cake tobaccos (they didn’t press any of their own blends), and now this equipment. Over the next year, we’ll be producing 8 new blends under other companies’ names, and they will all be in the euro-tins." I sampled all of the mentioned blends and all are winners in my book. White Knight really brought me back to the days when I could get BS easily. A most enjoyable smoke. The White Knight sample from the IPSD goodie bag was absolutely phenomenal. I love the orientals and sweet virginia combinations; this may replace FMC as my go-to oriental blend. Exciting to hear about the new tins, I definitely prefer the Euro style twist on top tin. That MM “Missouri Pride” sounds like something I’d like to try. I like Virginia-Burley blends. Thanks to PipesMagazine for keeping us plugged-in to these developments. Where else can a guy get reliable, primary source information like this? Wow - that Euro-tin means no more worries about ageing those tobaccos. Great Dane is one cherry blend I’m actually willing to try! Great news! Can’t wait to check out Great Dane! I’ll have to try some White Knight when the crowd thins out. I smoked a lot of Original back in the early 70’s. Hope some or all of these new blends will show up at the TAPS pipe show in Raleigh later this month, April 2014. I’d love to sample them. Awesome news ! Can’t wait to try all 4 MM blends. I too enjoy the interiew’s but first I do my best to scroll through the awful introduction music and voice over message. 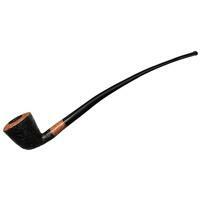 Pipe smoking such a classic topic with centuries of rich history and information. The déclassé introduction leave me cold and wondering how and why this ever came about. I’m so proud of this online magazine and it’s quality information. It’s the Radio Show that needs some help. I tried the Great Dane blend at the Chicago Pipe Show. I really enjoyed it. It was one of my two favorites that I tried.